We are Hampshire based Small Holders having originally bred Charolais cattle. 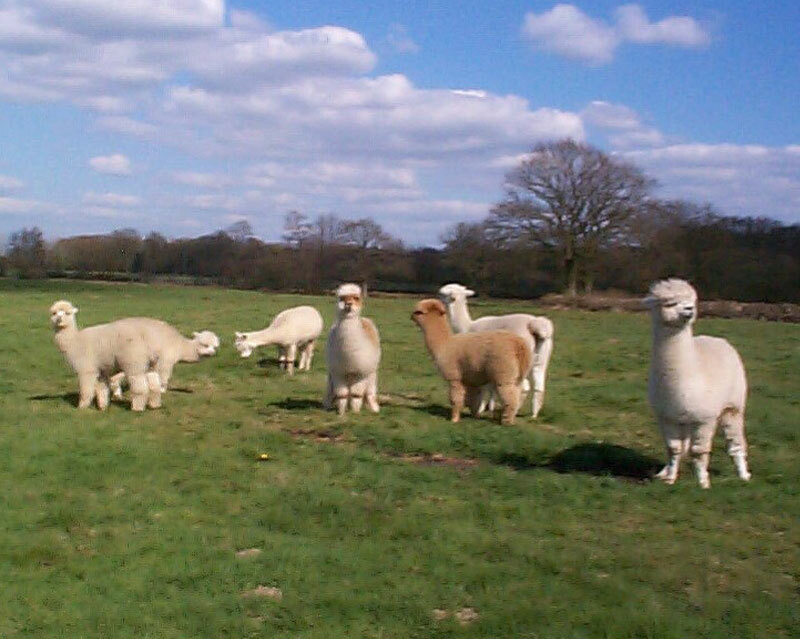 In 2003 we decided to diversify and purchased three Alpaca females with a view to building up a small herd and ultimately selling young stock and fleeces. Rather than just selling young stock and fleeces we decided to produce from fleece to finished textiles ourselves, making this lovely product more affordable and giving people the opportunity to purchase items designed and crafted in England from English bred Alpaca fleeces. For further information, orders or commissions please contact us by either Email or telephone and we will do our best to oblige. Visitors by appointment only.